What Time Is The Gold Medal Game? [twitter]What time is the gold medal game? Early. Wake up the neighbours, head down to Tim Horton’s to do some rim rolling, because Canada goes for GOLD on Sunday. Again. 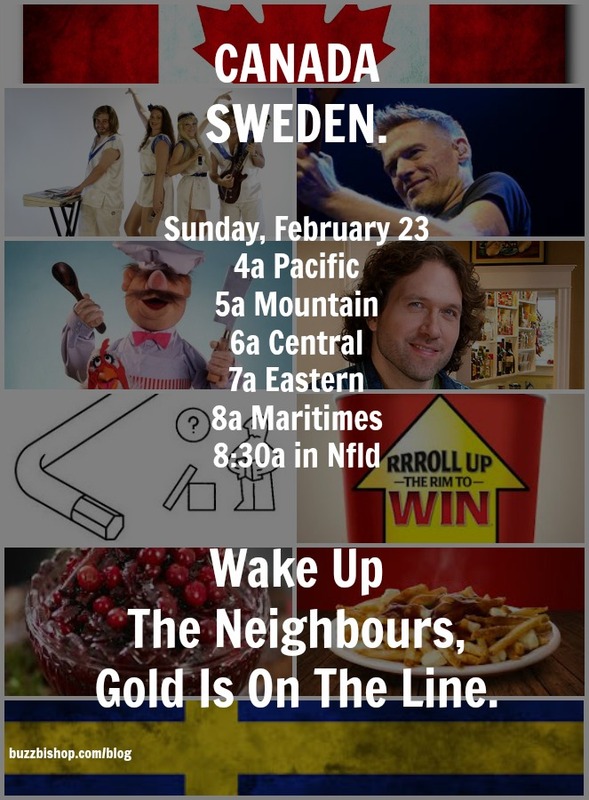 Canada and Sweden will play in the gold medal game Sunday morning at 4a PST, 5a MST, 7a EST, 8a Maritimes, 8:30a in Newfoundland. It’s early. Who cares. These kids wanna rock. Pass it on!